Cities Connection Project | 102 SOCIAL HOUSING. POBLENOU, BARCELONA. 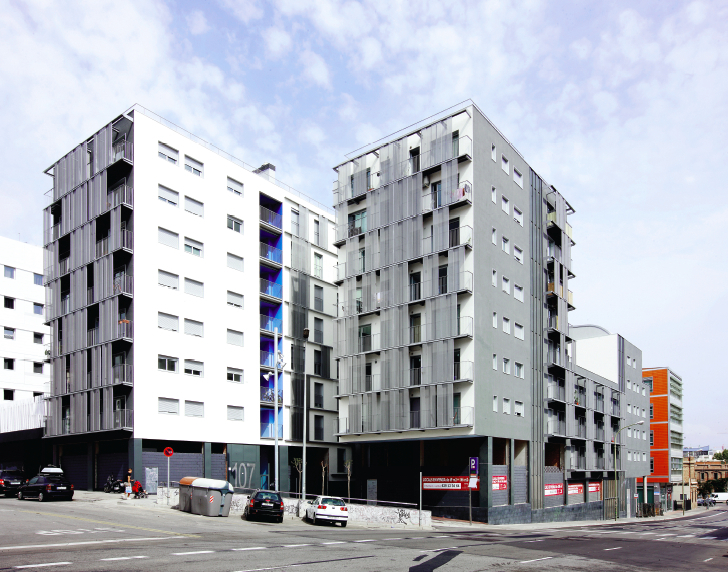 Three main substraction operations were set for all the dwellings to enjoy a minimum of 3h of direct solar radiation every day: a central void, the removal of the corner and the partial shortening of three levels at the Almogavers Street side. The central court is the main area to access retail, stairwell and the public space through the freed corner. 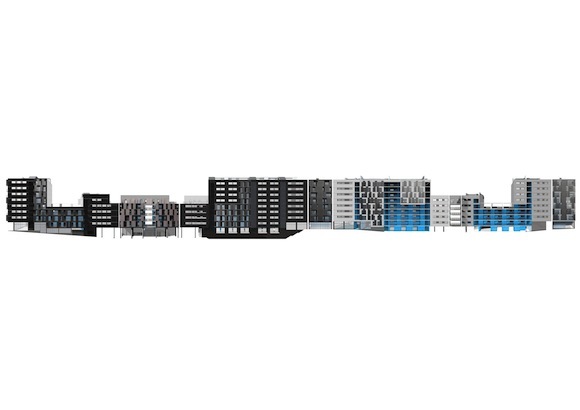 The main building is organized with 5 cores that are connected with elevated pathways in the lower levels and that become independent on the top ones organizing the different typologies of dwellings. The situation of the building in the lot, in the corner of the island, and the relation that it establishes with the public space that crosses the island gives to this site a character attractive and singular. The definition of the volumes and the colors of the project depend on this urban situation and to its internal special organization. Their flexibility is based on the adaptability of the housings to different uses along the time. This capacity is achieved by arranging the structure in the fixed elements of the building, and to group the services in compact cores.